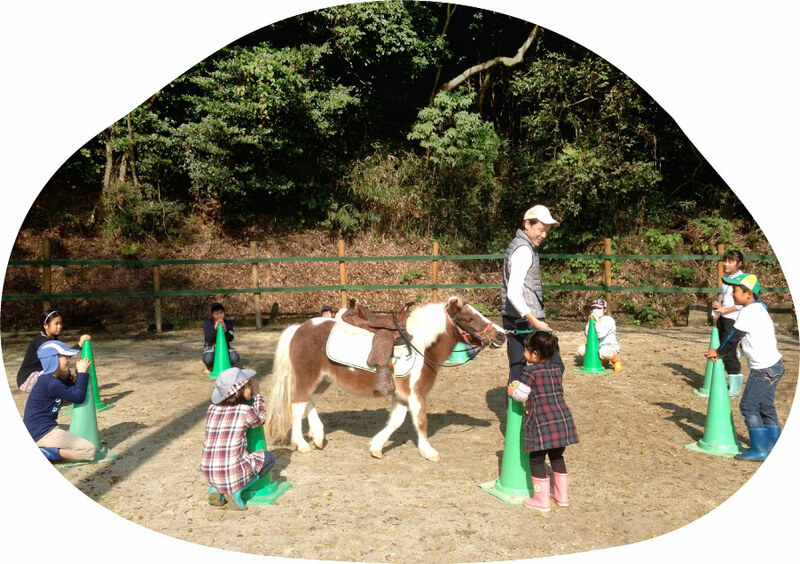 馬とのふれあい Interacting with Horses | CLUB RIO - 馬と人の居場所。A playground for both horses and people. and release tension throughout your body. and it becomes a place for conversation and laughter. which we hope will reach and benefit more people. you can experience here at Club Rio. Visiting is by appointment only. 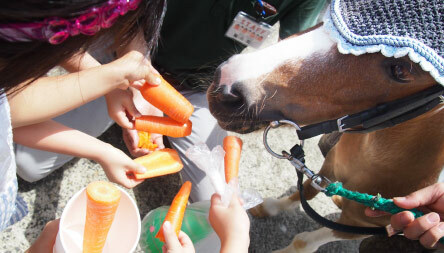 Let's try to feed the horses their favourite foods; apples and carrots. JUJU and MAX both love getting brushed and cuddled with. 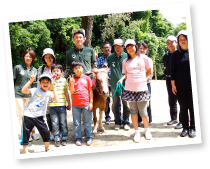 Our staff will teach you how to brush them gently, becoming instant friends! 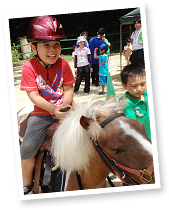 Experiencing horseback riding, either inside the paddock and horseriding grounds, or going for a walk by the nearby pond. 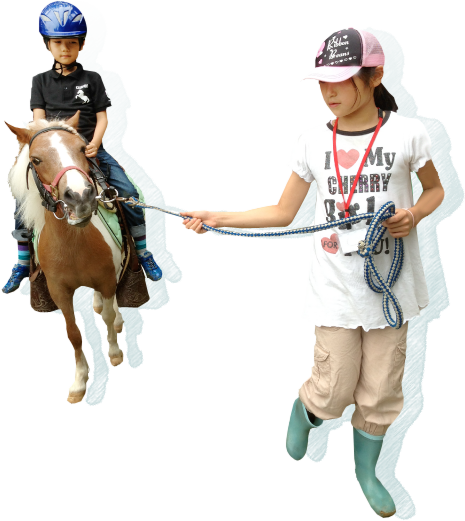 You can experience the horse's pace, walking slowly, communicating with the horse. Suited to your individual level, the experience will last for approximately 20-30 minutes. 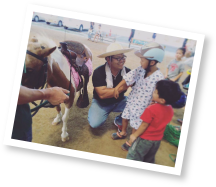 Using the Rio Horse trailer we make visits such as nursery schools, kindergartens and events! 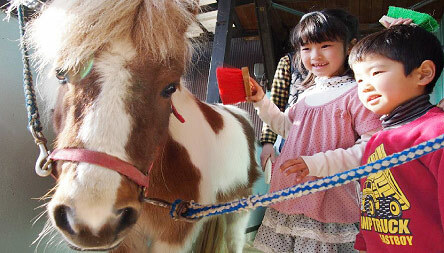 How about a petting, pony-feeding experience in your town? 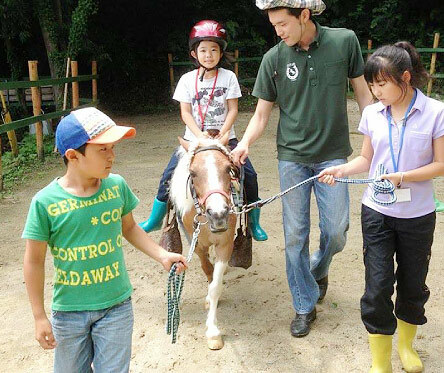 Contact　Please feel free to contact us by phone or e-mail about the reservation. Appointment　Briefing　Having a meeting for the details. * It's possible to have pre-lecture before the event in addition. 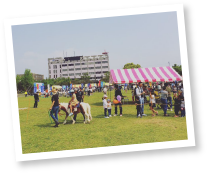 Our pony JUJU joins “Saga Prefecture Central May Day” that is held every May, in order to let people experience horse riding. 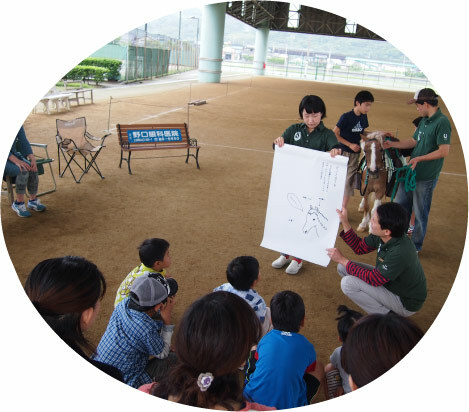 JUJU goes to the “Kids Festival” organized by Kohoku Town Social Welfare Council, and lets the kids experience horse riding! JUJU looks forward to meeting the kids, and the kids look forward to meeting JUJU every year. 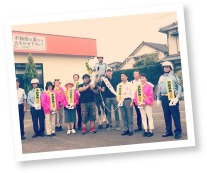 For the first time in Saga, CLUB RIO and our horse performed the traffic safety enlightenment. Cool like cavalry! HOLY and police officers cooperated and promoted traffic safety. 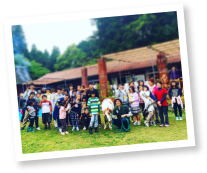 46 elementary school students interacted with JUJU at Ureshino Special Support Education School. 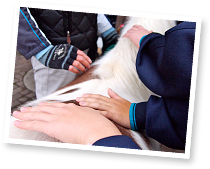 The students enjoyed feeding and brushing JUJU. JUJU looked happy as well. 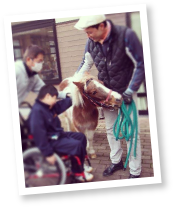 We were invited to the general meeting of Sunsun Club at the "Dandelion House" where is a site of supporting handicapped children in Taku City. 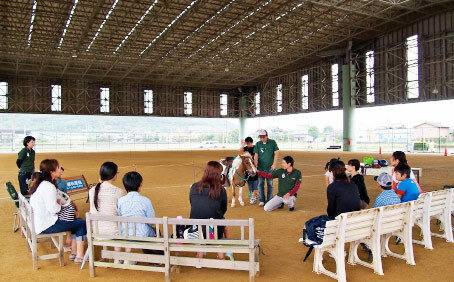 We performed the horse therapy experiencing program with JUJU under the cozy atmosphere. JUJU came to our school as a PTA event. We spent a previous time! 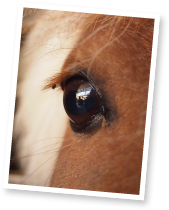 JUJU's big eyes had been sparkling like a marble. She also likely to have said to me something. JUJU's hair is fluffy. It was warm when i touch the body. JUJU has something special power to derive a lot of children smile.